Wordsworth Self-cateringIn a picturesque woodland setting just above Skelwith Bridge about three miles west of Ambleside in the approaches to the Great Langdale Valley, the apartments at Neaum Crag are well-placed for walking and rambling in some of Lakeland's most picturesque scenery. 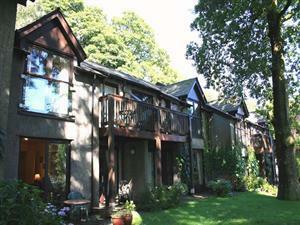 In a picturesque woodland setting just above Skelwith Bridge about three miles west of Ambleside in the approaches to the Great Langdale Valley, the apartments at Neaum Crag are well-placed for walking and rambling. No high chair available. Children welcome from any age. Wordsworth offers weekly bookings starting on Saturday.